Note: This episode originally ran in 2015. Most companies reward hard work. This is why people get paid overtime, and why full-time workers make more than part-time ones. But, if you think about it, hard work alone says nothing about how much value you create. You could be toiling day and night, and be mostly useless to your employer. To your employer’s bottom line, what really matters isn’t how much you put in, but what you deliver. There’s one company that takes this idea to its logical conclusion: Netflix. It’s run like a sports team. Whether you’re yesterday’s hire or one of the first employees, you’re out the minute you stop justifying your presence. It wasn’t always like this. Right after the dot-com bubble burst, Netflix was like any other company. But, to survive, it had to cut non-essential staff. Patty McCord, who was in charge of hiring and firing, had to seriously reevaluate what each person was contributing. She laid off a third of the company, and what she found was that the company didn’t just do fine, but was performing better than before. That experience gave rise to a philosophy that became an influential PowerPoint presentation that over 16 million people have viewed. 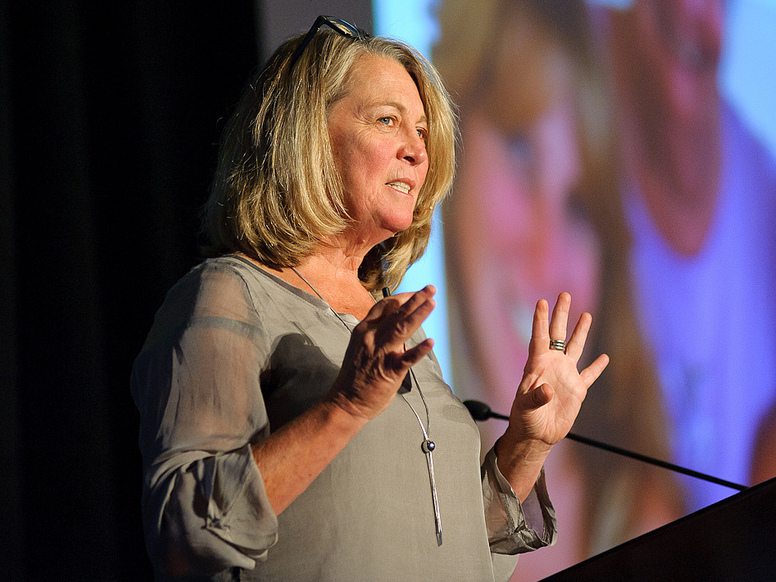 Today on the show, hear how Patty McCord turned Netflix into a sports team, and just how far the company took that principle. We’ve also got an update on a brand new business that was sparked by this episode and has adapted some of the Netflix principles. Music: “Feels So Good” “We are Better Together” and “Midnight.” Find us: Twitter/ Facebook. Subscribe to our show on Apple Podcasts or PocketCast. People hurry toward Freeman High School in Rockford, Wash., following a deadly shooting at the school. A student at a high school in rural Washington state opened fire outside a biology classroom on Wednesday, killing another student and wounding three others before being caught. The shooting occurred at Freeman High School in the tiny town of Rockford, about 26 miles south of Spokane near the Idaho border. “I was putting my backpack away and I heard a loud pop, and I turned around. He was walking around,” Elisa Vigil, a 14-year-old freshman, told the Spokesman-Review. 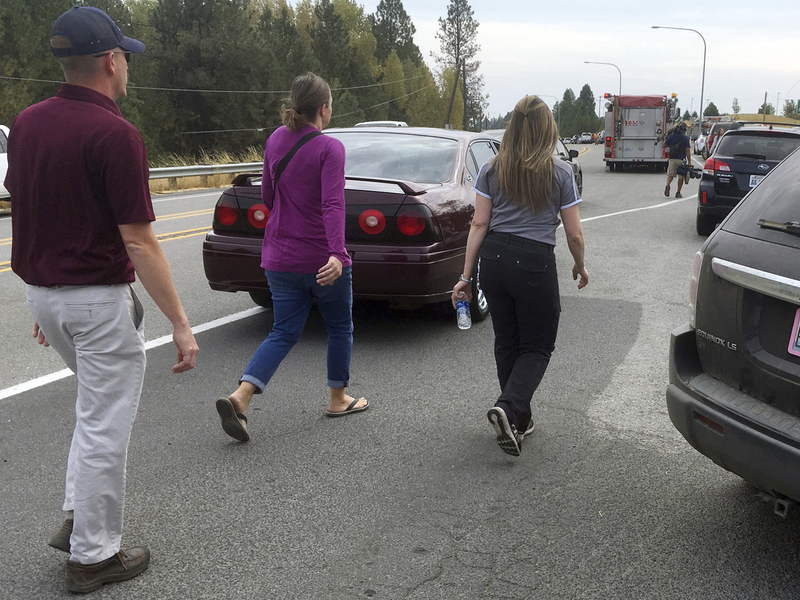 According to the Associated Press, Brian Schaffer of the Spokane Fire Department said one student died at the scene and three others were taken to a local hospital and were expected to survive. “The shooter has been apprehended and is taken into custody,”said Schaffer. The name of the shooter has not been released, but he is reported to be a sophomore. Authorities have not commented on a possible motive. 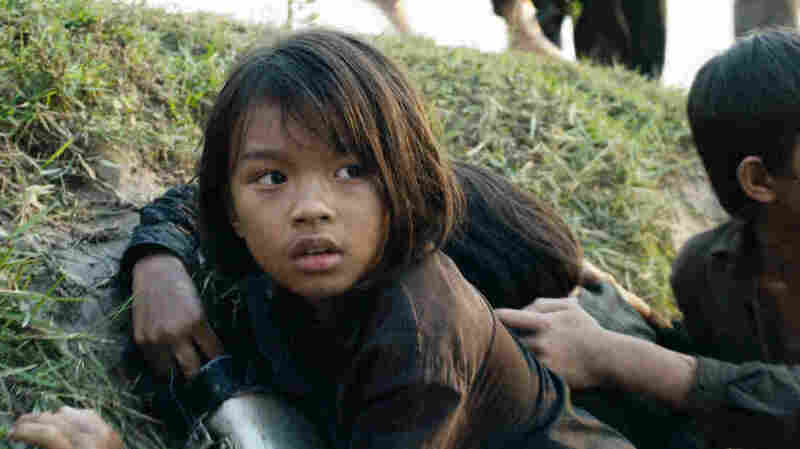 Sareum Srey Moch plays a young Loung Ung in Netflix’s FirstThey Killed My Father. The film FirstThey Killed My Father begins in 1975 Cambodia, during the rise of the Khmer Rouge. The hard-line communist regime aimed to deport an entire nation into the countryside and form an agrarian utopia — but their experiment failed. People were forced to work, and they were also tortured, starved and executed. In the end, around a quarter of the country’s population — roughly 2 million people — died. FirstThey Killed My Father was directed by Angelina Jolie, and it’s based on a memoir by human rights activist Loung Ung. Ung was 5 years old and living with her family in Phnom Penh when the Khmer Rouge arrived and essentially emptied the city. At first, her family managed to stay together, but then her older siblings were sent to a camp for teenagers. Not long after, they also came for her father. Ung’s mother decided Ung and her siblings would be safer if they left and pretended to be orphans, so she sent them away. LoungUng: I had no idea where we were going. … The soldiers, the Khmer Rouge soldiers, came in their trucks with black shirts and pants and carrying guns and grenades on their belts and also wearing huge smiles and screaming to the people that the war was over, the war was over, and to pack as little as we could to sustain us for three days and we could come back after three days. Those were the hopes and the dreams that I held on to. I completely believed that we could come back in three days. AngelinaJolie: I went into Cambodia like many people in America: I didn’t know what I should’ve known. I wasn’t educated properly, and I felt very ignorant. And one day I was off work and went for a little walk and bought a $2 book at a street corner, and it was Loung Ung’s book. And it was through that book that I really understood what had happened. And I was drawn to the way that she had written it, through the eyes of a child, through the experience of a little girl. Paris and Los Angeles have been awarded the honor of hosting the 2024 and 2028 Olympic games, respectively. 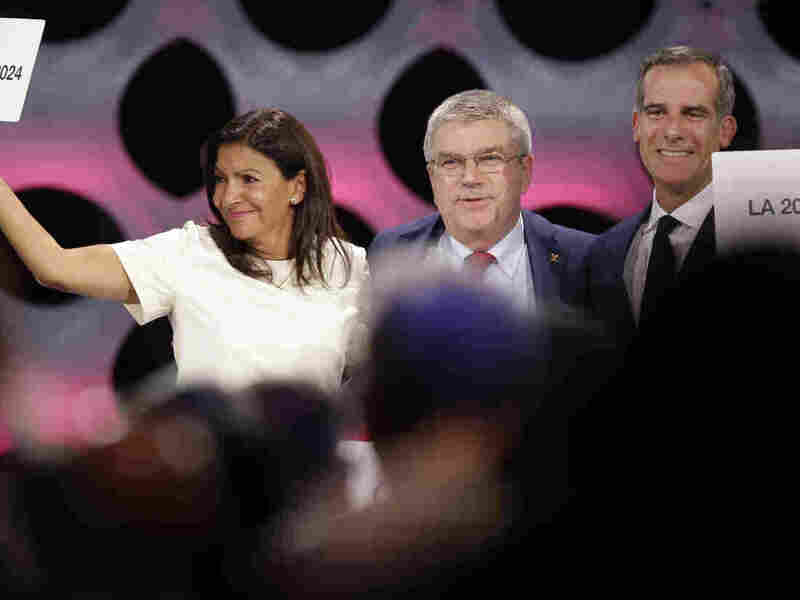 Pictured above: IOC President Thomas Bach (center), Paris Mayor Anne Hidalgo (left), and Los Angeles Mayor Eric Garrett. It’s official, the 2024 Olympics are coming to Paris – and four years later they’ll be in Los Angeles in the first “double allocation” of the Olympic contests in modern history. The International Olympic Committee announced it had approved the allocations — the result of a three-way deal — by vote Wednesday. “This historic double allocation is a’win-win-win’ situation for the city of Paris, the city of Los Angeles and the IOC,” said IOC President Thomas Bach following the vote to approve the decision. The Associated Press reports that Bach declared the vote unanimous after a “show of hands” count raised no objections. The vote, in addition to setting the Olympic schedule for 11 years, breaks the IOC’s tradition of selecting host cities one at a time. Initially agreed to over the summer, the three-way deal followed an exodus of other bidders for the 2024 games, reported Ben Bergen, of member station KPCC, in June. “Few governments want to risk the billions in cost overruns that have become synonymous with recent Olympics. That’s why the IOC is considering awarding dual bids,” said Bergen at time. “Paris said it didn’t want to host in 2028. 2024 will be the 100th anniversary of the 1924 Paris summer games. … LA sent signals that it was open to going second, ” Tom told Morning Edition last month. Los Angeles, host city to the 1932 and 1984 summer games, conceded the 2024 Olympics to Paris, Tom goes on, and has been promised $180 million by the IOC for doing that. The AP adds this will be the third Olympics for both cities, and the Los Angeles games will be the first Summer Olympiad in the U.S. since 1996. 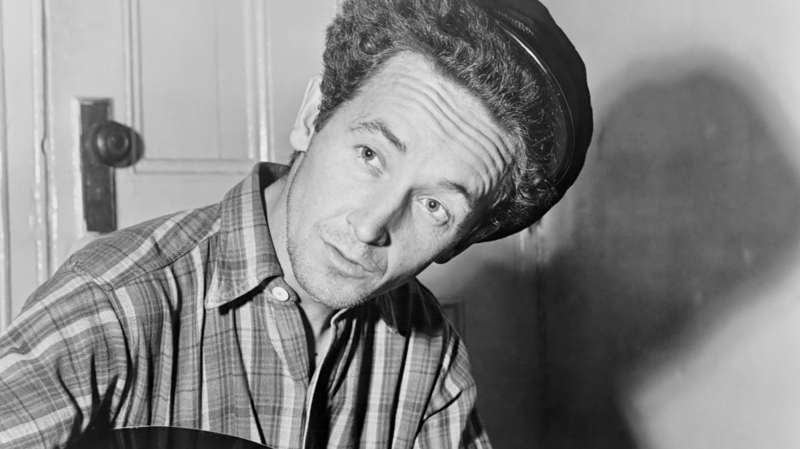 The American Folklife Center’s collections include recordings of Woody Guthrie, taken at the Library of Congress. Join Fiona and guests as they explore selections from the American Folklife Center’s collection of about half a million sound recordings, including songs from Woody Guthrie, Bob Dylan and Carrie Grover. 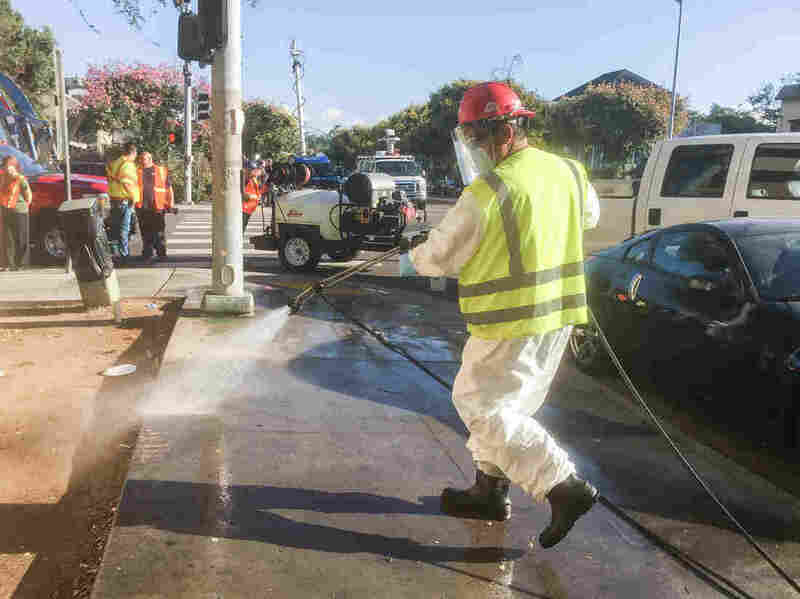 City workers wash down streets and sidewalks in an effort to control a Hepatitis A outbreak in San Diego on Monday. Hepatitis A was first identified in the area in early March, according to the county, and was declared a public health emergency earlier this month. A letter from San Diego County health officials stated that Hepatitis A is being spread though contact with a “fecally contaminated environment,” as well as person-to-person transmission. On Friday, the city said it would “fully comply with the directive,” targeting areas in downtown frequented by homeless people at risk of contracting Hepatitis A. Contractors started spraying down areas Monday with the diluted household bleach solution, continued Wednesday, and are set to hit the final zone of downtown by Friday, according to a city spokesperson. The procedure, as prescribed by the county, involves first spraying down hazardous items such as human waste or needles, waiting ten minutes, removing the contaminated items, then spraying the area again with bleach. After that, it calls for pressure-washing the area with water. It is set to be repeated every two weeks, with weekly “spot maintenance,” according to county guidelines. San Diego County did not immediately respond to an NPR query about whether it is satisfied with the city’s response. He adds that “once Hepatitis A starts to be transmitted in a community like this, it’s kind of hard to stop.” The most effective tactic is immunization, he says, and San Diego County says it is has provided at least 19,000 immunizations against the disease. “The issue is getting people, especially those who might be living on the street, into care and getting the series (of shots),” Saag adds. There have also been more than 250 mass vaccination events and nurses have deployed to areas with large homeless populations, according to the county. Dozens of hand-washing stations have been installed, with more on the way. San Diego’s homeless population has skyrocketed – the number of people living on downtown streets is up some 27 percent to nearly 1,300, according to The San Diego Union-Tribune. It’s particularly visible due to the 104 percent increase in the number of tents and hand-built structures, the newspaper adds. A lack of affordable housing is contributing to the problem – “seventy-seven percent of unsheltered people said they became homeless in San Diego,” the Union-Tribune reports. Councilwoman Lorie Zapf recently told member station KPBS that she is concerned about the amount of waste in her area as a result of illegal encampments. Hepatitis A is considered highly contagious, according to the CDC, and attacks the liver. Its prevalence in the U.S. has declined by 95 percent since 1995, when the vaccine was first introduced. Irma tore through the U.S. Virgin Islands, leaving thousands displaced and billions of dollars of property destroyed. Gov. 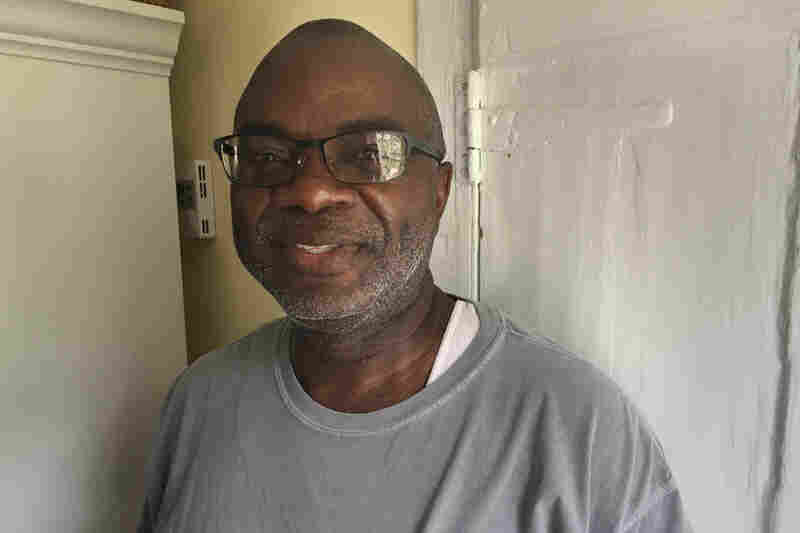 Kenneth Mapp of the U.S. Virgin Islands talks to NPR’s Ari Shapiro about the government’s recovery efforts. Should Nuclear Inspectors Have Access To Iran's Military Sites? 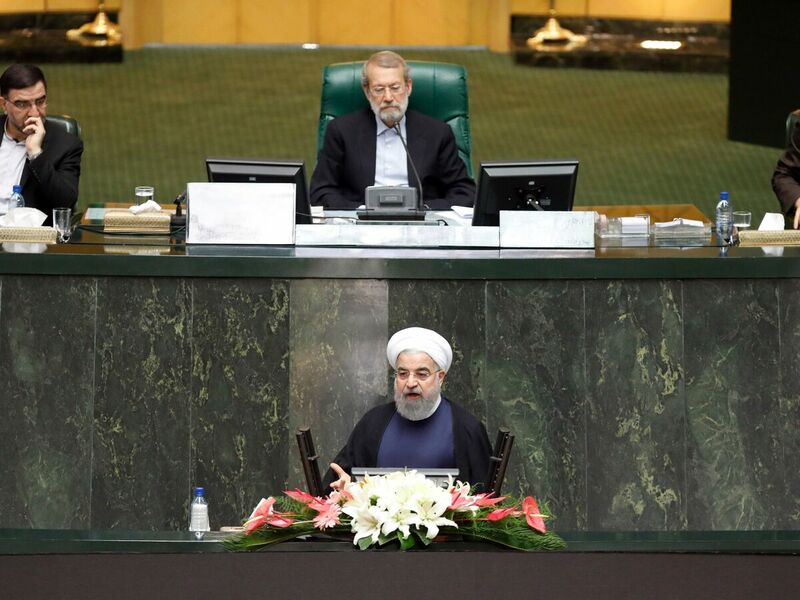 President Hassan Rouhani addresses Iran’s parliament on Aug. 20. He said the top foreign policy priority for his new government would be to protect the nuclear deal. Two deadlines are approaching that may signal the fate of the 2015 nuclear agreement known as the Joint Comprehensive Plan of Action, or JCPOA. The agreement saw Iran sharply curtail its nuclear program and allow extensive inspections in return for the lifting of international sanctions. Sept. 14 is the deadline for the Trump administration to decide whether it’s continuing to waive Iranian sanctions under the deal. The sanctions were passed by Congress and go into effect unless they’re waived every few months — which Trump has done previously. The administration also faces an Oct. 15 deadline to certify whether Iran remains in compliance with the nuclear deal. That certification requirement is not part of the deal, but was imposed by Congress. That is, when the Obama administration signed the deal, Congress required him to say every three months whether he believed Iran was in compliance. It was a way for members of Congress to hold Obama to account for a deal many opposed. Earlier this month, U.S. Ambassador to the United Nations Nikki Haley essentially made the case for decertifying Iran. She told an audience at the American Enterprise Institute in Washington that President Trump must consider not just issues covered by the deal — Iran’s stockpile of enriched uranium, a nuclear fuel — but Tehran’s aggressive policies in the region and its ongoing tests of ballistic missiles. Haley stopped short, though, of saying the administration was poised to walk away from the deal. “If the president chooses not to certify Iranian compliance,” she said, “that does not mean the United States is withdrawing from the JCPOA.” There have been reports that there’s a debate going on within the Trump administration on whether to decertify. The recent focus of those against the deal seems to be on Iran’s military sites, with critics saying inspectors from the International Atomic Energy Agency are failing to routinely inspect them along with Iran’s declared nuclear facilities. IAEA Director-General Yukia Amano defends the verification regime as the “most robust” being conducted anywhere today, and insists that military sites are not off-limits. Iranian officials say just the opposite. “Nobody is allowed to visit Iran’s military sites,” Ali Akbar Velayati told reporters in Iran recently, calling the push for such inspections a threat to its national security. Velayati is an adviser to Supreme Leader Ayatollah Ali Khamenei. The IAEA inspectors are charged with ensuring that no potential nuclear fuel — highly enriched uranium and plutonium are the two commonly used sources — is being diverted to a covert nuclear weapons program. Under something called the Additional Protocol, which Iran accepted as part of the JCPOA, inspectors can request access to undeclared sites, including military sites. But the agreement spells out a series of steps to gain that access that could take as long as 24 days to complete. Critics contend that’s far too long to wait. David Albright with the Institute for Science and International Security and former IAEA official Olli Heinonen co-authored a recent paper calling for greater access to Iran’s military sites. They zeroed in on one section — Section T in Annex 1 — which deals with verifying that Iran hasn’t acquired “dual-use” technology that could serve either a peaceful nuclear purpose or weapons development. Albright and Heinonen suggest that Iran may be in violation of some of these restrictions, and argue that the IAEA should inspect Iranian military sites as a regular part of enforcing this part of the agreement, not treat such inspections as special cases used only in response to evidence of a specific violation. The IAEA chief says the JCPOA is working and it has all the authority it needs. Amano told reporters in Vienna this week that special access is already happening on a regular basis. What Amano did not say, however, is whether military sites are currently being inspected — something critics of the deal might seize upon. He also has said that inspectors need a reason to request access to undeclared sites, and the JCPOA section on access states that “if the IAEA has concerns [emphasis added] regarding undeclared nuclear materials or activities,” then it can request to see undeclared — i.e., military — sites. It’s unclear what kind of reason or evidence the IAEA would consider sufficient. Supporters of the JCPOA such as Ali Vaez, senior Iran analyst at the International Crisis Group, say the remarkable access the West now has to Iran’s nuclear program via the deal and the IAEA inspections should not be thrown away lightly. Vaez adds that derailing the JCPOA now could also have unintended consequences. If the White House decides not to waive the sanctions this week, that could throw the deal in doubt immediately. But assuming the sanctions are waived on Thursday, certification becomes the next question. As Haley, the U.S. ambassador to the U.N., pointed out, decertifying Iran next month wouldn’t automatically pull the U.S. out of the JCPOA. But some worry it could provoke an Iranian reaction that would ultimately lead to the agreement’s demise. There’s also another possibility: that the Trump administration will continue to waive sanctions against Iran, and then decertify. That would likely shift the focus to Tehran — and to Congress, which could move to impose new sanctions on Iran. 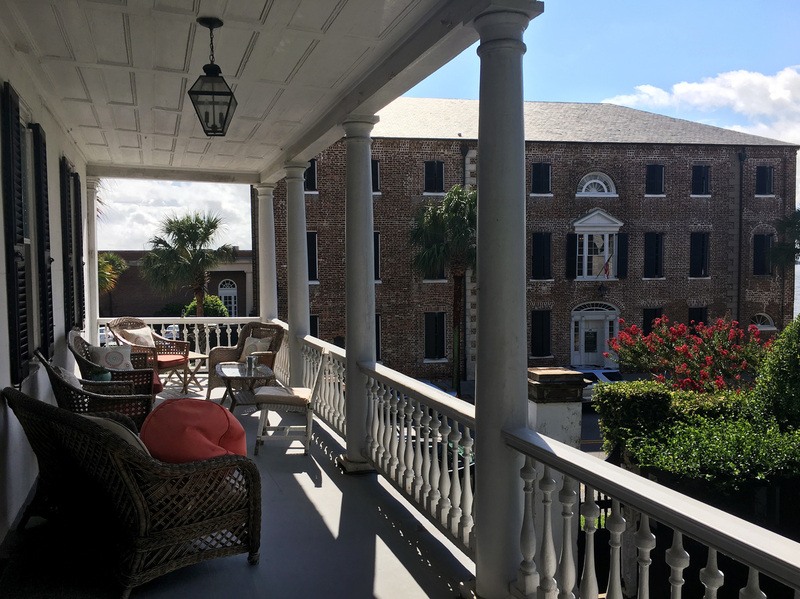 The upstairs porch of Ann Blessing’s home in Charleston, S.C. has been a stop on a popular historic home tour. For the first time, visitors will tour the kitchen where enslaved people once spent most of their lives, toiling over hot fires. 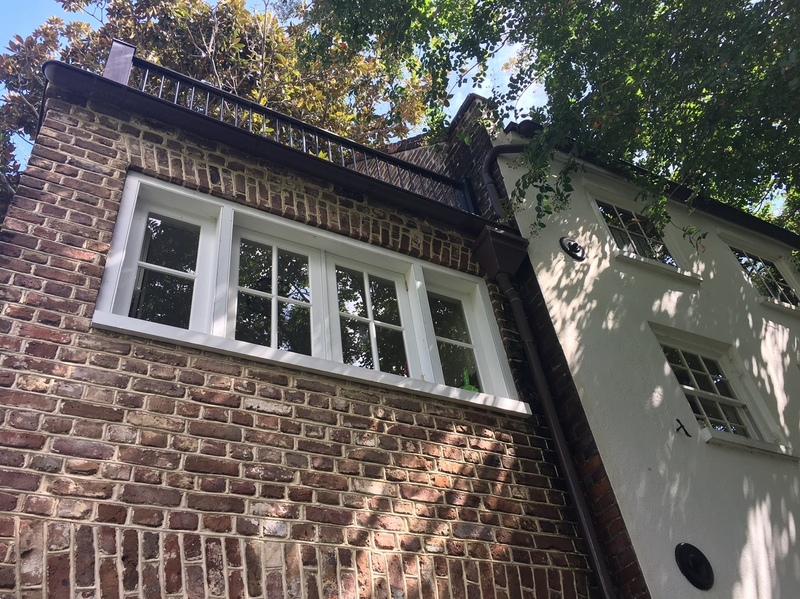 Anne Blessing grew up in a classic antebellum house with double-decker porches and gorgeous brickwork, just steps from the Charleston Harbor. For years, the home in Charleston, S.C. had been a stop on a popular historic home tour. This weekend, for the first time, visitors will skip the formal areas and go straight to the kitchen. What was once the kitchen house has been connected to the main house. With its wooden beams and massive hearth, it’s a favorite hangout spot for the family. But as Blessing has learned, it’s also where enslaved people once spent most of their lives, toiling over hot fires. Ann Blessing’s kitchen, where slaves once spent much of their lives, was once a separate house but has been connected to the main building. “If you were the cook you probably just slept on a palette in this room – and maybe with your whole family as well,” she said. The tour is called “Beyond the Big House.” It’s organizers — the Slave Dwelling Project and the Historic Charleston Foundation — hope to raise awareness among visitors and residents of Charleston that many former slave quarters have been hidden, and forgotten, amongst the city’s majestic homes. Ann Blessing grew up in a home in downtown Charleston near the Charleston Harbor and is now raising her own children there. Her kitchen will be part of the “Beyond the Big House” tour highlighting former slave quarters in the city. The tour comes at a time when the question of how to remember the ugliest parts of U.S. history continues to divide the country – as the recent violence over the fate of Confederate monuments Charlottesville, Va. again reminded us. Charleston is a city with its own painful racial history dating back to the slave trade. 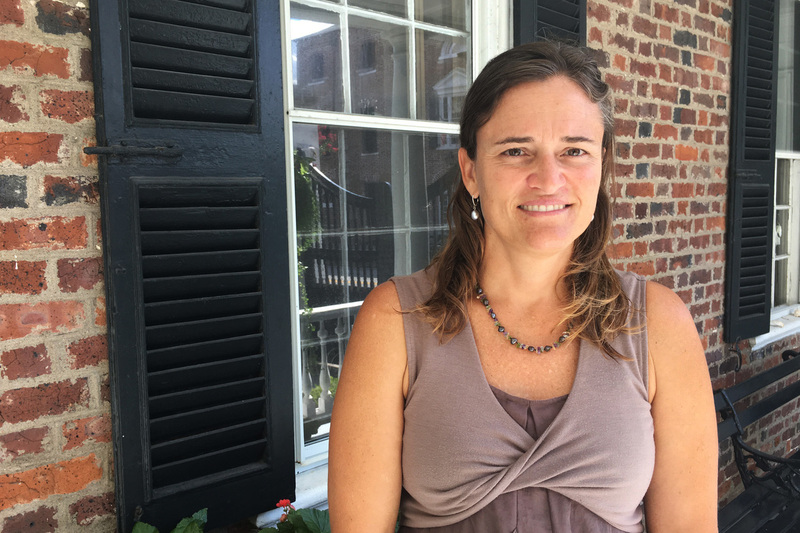 The places where enslaved people lived and worked were concealed by design, says Lauren Northup, Director of Museums for the Historic Charleston Foundation. At the Nathaniel Russell House Museum, another stop on the tour, a tall fence once divided the formal gardens in front, from the work areas in back. where slaves grew vegetables and raised livestock, Northup said. Past tours have discussed some former slave quarters, but they’ve never been the focus of a tour before – even though the city was central to the slave trade. That story, she says, is “only complete when everyone’s story is told,” Robinson said. Historians estimate some 40 percent of enslaved Africans passed through Charleston’s port. Their labor has left literal marks on the city, including Anne Blessing’s home. She said she’s always loved the bricks that make up some of her walls. What she didn’t realize until she met Joseph McGill, was that some of the indentations in the bricks are the fingerprints of the slaves who made them. “That’s the evidence of the enslaved ancestors reaching out to us saying, ‘We were here; tell our stories,” McGill said. I think anything that you don’t talk about for a long time is going to come out at some point. McGill says it’s important to preserve and remember the lives and work of enslaved people whose names have often been forgotten. The tour of former slave quarters in Charleston begins this year with eight properties, a number organizers hope will grow in years to come.